unleashthegeek: Kaname Jun has 7 fingers?! 7 fingers is trending on Twitter Japan trends now. 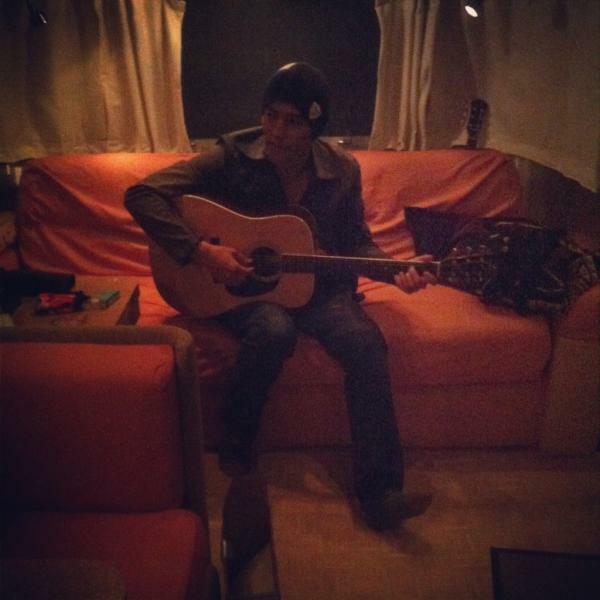 It turned out to be about a photo tweeted by Kaname Jun, which shows him playing the guitar in a camper. Take a closer look at his left hand. He was asked about it. "It looks like you have 7 fingers on your left hand, it's just my imagination right..."
And he replied,"Uwaa!! What the heck is this!! Spooky!!"